Deodorizers and Air Freshners are essential to any business. Clean smelling air can be the difference between a lost sale or a great deal. People unconsciously judge places by their smell even if not intentional. So as a restaurant, you need to keep your foodservice establishment smelling clean and fresh. The bathrooms need to be clean and fresh with no bad odors. And hopefully the dining room will be filled with fresh cooked food aroma from your kitchen to wet the appetite of your patrons. 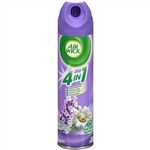 Reckitt Benckiser Airwick Aerosol Levender Air Freshener - 8 Oz. Par Way Tryson Puricit Odor Eliminator Aerosol Air Freshener - 6 Oz. 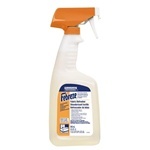 Procter and Gamble Febreze Fabric Refresher Deodorizing Sanitizer 32 Oz. Airwick Cool Linen and White Lilac Air Freshener - 8 Oz. Febreze Fabric Refresher Extra Strength - 16.9 Oz. Febreze Travel Extra Strength - 2.8 Fl. Oz. Febreze Air Freshener Car Hawaiian Aloha - 0.06 Fl. Oz. Febreze Car Vent Clip Linen and Sky Air Freshener - 0.06 Fl. Oz. Febreze Car Vent Clip Meadows and Rain Air Freshener - 0.06 Fl. Oz. Febreze Car Vent Clip Midnight Storm Air Freshener - 0.06 Fl. Oz. Febreze Car Vent Clip Fresh Citrus Air Freshener - 0.06 Fl. Oz. Wholesale Deodorizers and Air Freshners for your restaurant or business. We offer a wide variety of air fresheners including timemist, sebreeze, waterbury, renuzit, ozium, lysol, arm and hammer and more. Rely on the restaurant supplies king to provide you with every product you need for a successful foodservice business.